When I hear authors talk about how they always knew from the moment they could say the word, “da-da” they wanted to be a writer, a wave of vulnerability washes through me. My journey to publication has been a strange, confusing, exhilarating journey into unplanned waters. I grew up wanting to be a singer. I spent countless hours imitating Julie Andrews, Mariah Carey and Sandi Patty. I could mimic their intonation, stylizations and vibratos to near perfection. In 2004, I signed with a Christian record label. I felt sure God had told me He would use my voice to help others find freedom in Him. Walking with God is often a broken, winding road. The God-ordained plans that seemed so certain quickly shifted, and I have been reminded of this important truth…the more you build your identity on something other than Christ, the greater the pain when that identity crumbles. On the days when grief felt like shards of glass embedded deep into my heart, God impressed within me the need to write. Stories of wounded hearts and quirky characters emerged with astounding speed. When I attended my first American Christian Fiction Writers conference, I heard the instructor talk about the importance of the writer’s voice. That’s when it hit me: I can have a voice and still not have a voice. In the past several years, God has blessed in amazing ways, from signing with my remarkably talented literary agent Janet Grant of Books & Such Literary Agency, to my first three-book contract with Tyndale House Publishers. My story looks different from the one I had planned but God’s story has been far more exciting and filled with greater impact than anything I could have imagined. Even when that means losing your voice so He can give you a voice. 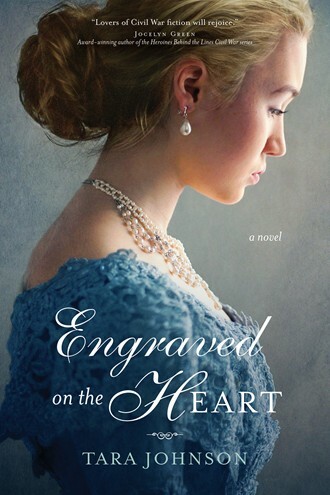 Reluctant debutante Keziah Montgomery lives beneath the weighty expectations of her staunch Confederate family, forced to keep her epilepsy secret for fear of a scandal. As the tensions of the Civil War arrive on their doorstep in Savannah, Keziah sees little cause for balls and courting. Despite her discomfort, she cannot imagine an escape from her familial confines-until her old schoolmate Micah shows her a life-changing truth that sets her feet on a new path . . . as a conductor in the Underground Railroad. Tara Johnson is an author, speaker, and a passionate lover of stories. She enjoys traveling to churches, ladies retreats and prisons to share how God led her into freedom after spending years living shackled as a people-pleasing preacher's kid. Tara has articles published in Plain Truth Magazine and Live It Loud Magazine and has been a featured guest on Voice of Truth radio and Enduring Word radio. 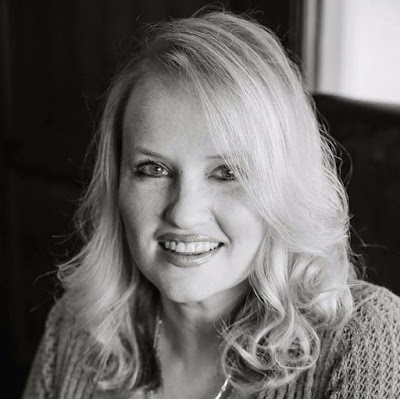 Tara is a member of ACFW and is represented by Janet Grant of Books & Such Literary Agency. She, her husband and children live in Arkansas. Tara, your post cut me right to my core. I so needed to hear the words "the more you build your identity on something other than Christ, the greater the pain when that identity crumbles." Too many times I feel as if my identity in Christ is something that I DO instead of whose I AM! Thank you for the reminder! Oh, I hear you, Petra. This is something I have to remind myself often. I’m so glad He’s patient with us. Hugs!